We promise a rapid diagnosis of your vehicle, accurate, honest estimates for repair costs, ongoing communication during the repair and quality work by factory certified technicians. We offer full service for heavy trucks, RVs, buses, coaches, and trailers. Our large parts inventory minimizes your downtime. We service and repair all makes and models including Freightliner, Western Star, Fuso, and Sterling. Freightliner Northwest operates service locations in Oregon and Washington. All FNW locations offer Daimler Trucks North America’s Express Assessment Advantage, allowing you to make fast, smart repair decisions to manage your business better. To help with warranty issues, we manage all aspects of the claim for the ease and peace of mind of our customers. 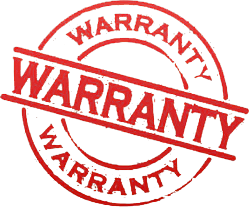 We are authorized to perform warranty repairs for a broad number of manufacturers.